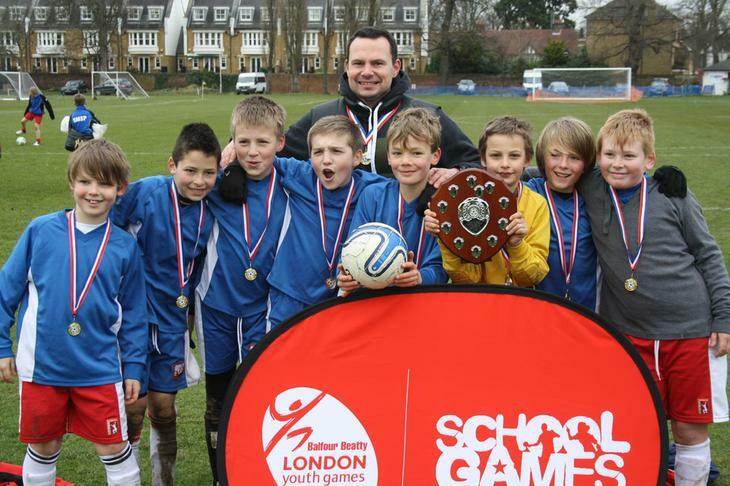 On Friday 8th February the boys football team travelled to NPL in Teddington to attempt to create history and win the Richmond Schools Cup for the 3rd consecutive year. Collis started well, winning their group and qualifying for the last 16. In the round of 16 Collis beat St Elizabeth’s 1-0 after extra time with a Golden Goal setting up a mouth-watering game with Stanley Juniors in the Quarter-Finals. Collis were looking to avenge a defeat earlier in the season against Stanley and had clearly improved tremendously since that game as we created chance after chance and won comfortably, 4-0. Into the Semi-Finals and a close encounter with East Sheen ended with Collis coming out on top of a 5-goal thriller, 3-2. Trafalgar were the opposition in the Final and were in the lead inside the first 3 minutes. Collis managed to level just before half time and went on to dominate the second half. Collis scored their second goal of the Final to complete a fantastic comeback 2-1 and win the title for the 3rd year running. The boys were absolutely fantastic all day and were a real credit to the school. Well done boys! The winning squad was: Joe Hennesy (Captain), George Lewis, Jude Cairns, Nick Richards, Teo Kurtaran, Sean O’Brien, Dan Shepherd-Evans and Freddie Short.